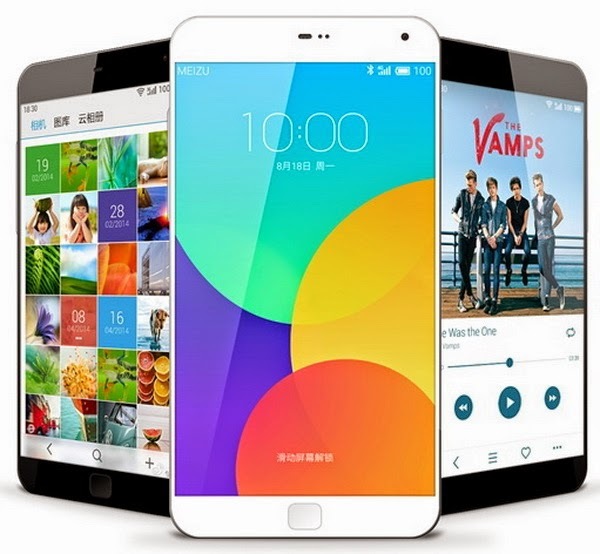 Meizu MX4 Pro is the revamped version of the popular MX4 from the Chinese manufacturer. Basically, the handset churns with faster processor, vivid display and several top-notch features including the highly-purported fingerprint sensor. We are dishing out the things that you need to know about the Meizu MX4 Pro - all of which you'll find after the jump. Looks like the MX4 Pro clouds the previous MX4 in terms of display. The Pro is a tad bigger in its 5.5-inch screen with an obviously stunning “2K+" resolution (2560 x 1536p), that's 546 ppi! The display is somewhat higher to LG G3's QHD panel (2560 x 1440p), making it the smartphone with the highest resolution as of this writing. Under the hood, lies the mighty Samsung Exynos 5430 octa-core processor - that's 4 cores of Cortex A15 at 2GHz and four Cortex A7 cores at 1.5GHz. Likewise, the efficient CPU is coupled with the Mali T628 MP6 graphics processor and 3GB dual-channel LPDDR3 RAM. The Chinese outfit claims that the Pro is 20 percent more efficient than the standard MX4. This pushes the handset in the same level of Apple which basically offers a convenient single touch fingerprint scanner. But Meizu's own is akin to the original sensor that we have seen in the newer iPhones. The Samsung chip includes the TrustZone which protects the personal data extracted from the fingerprint and houses them locally in the chipset. The mTouch support mobile transactions using Alipay (Chinsese PayPal counterpart) which it dubs as mPay. Sony supplies the sensor of the MX4 Pro. It has a whooping 20.7-megapixel IMX220 sensor with f/2.2 aperture coupled with improved signal sensor that reduces noise. The camera is also capable of 30fps continuous capture and 4K video recording. Flipping the phone, you’ll see the 5-megapixel with auto-focus feature and 1080p video capture. You will have a Hi-Fi audio experience with the MX4 Pro’s Retina Sound. Of course, the package won’t be complete without the LTE-TD and LTE-FDD. Likewise, you’ll also get the conventional radios as well as NFC connectivity, which cannot be found in MX4. The hardware will be powered with Flyme 4.1 custom skin which is solely based on Android 4.4.4 KitKat.